Rayful Edmond III was born on November 26, 1964 in Washington, D.C. to Rayful Edmond, Jr. and Constance “Bootsie” Perry. Both of his parents worked for the U.S. government but were also drug dealers on the side in their Washington, D.C. neighborhood of Near Northeast. Rayful was one of seven siblings who, from a young age, was taught by their mother, Constance, how to deal narcotics and prescription drugs. He entered the drug industry at the age of 9. At the same time, Rayful was an avid student and athlete, potentially leading him in the direction of college. Unfortunately, his life at home pulled him in the opposite direction. At 18 he dropped out of college in order to join a drug operation by cutting cocaine to make easy money. Edmond began making key contacts in the drug industry. Cornell Jones, a D.C. drug kingpin, helped him set up the beginnings of his drug empire. By working his local neighborhood, Edmond was able to create what he called “the strip,” which involved multiple back-alley escape routes for his dealers to use in order to evade the police. He also employed children to act as his scouts and employed his family members to help him run his overall operation. With the introduction of crack cocaine into his market in the mid-1980s, he had a way to reach and produce more addicts. With this sudden boom in his business, Edmond searched for a way to expand in order to supply the growing clientele list. That way appeared in 1987, when Edmond met Melvin Butler, a dealer from Los Angeles, California, while they both were in Las Vegas, Nevada. Butler agreed to supply Edmond with Colombian cocaine for a cheap price. This deal grew from a single shipment in 1987 to hundreds of kilos each month by 1988. This expansion helped make Edmond a multimillionaire by the time he turned 22. By 1989, 24-year-old Edmond controlled roughly 60 percent of the drug trade in the District of Columbia. With this success came violence. More than 30 homicides were tied to Edmond’s “crew.” Between 1985 and 1989, homicides in the District doubled and cocaine-involved hospital emergencies rose by 400 percent. Washington, D.C. Police viewed Edmond as their primary target and through a series of wiretaps, testimony, and confessions, they gained enough evidence to take him down. On April 15, 1989, Edmond and 28 associates were arrested, including 11 members of his family. Due to fear of an attempt by remaining crew members to break Edmonds out of jail, he was incarcerated at Quantico Marine Base forty miles away, and flown to court every day by helicopter. Jurors were also shielded by bulletproof glass at the trial and their identities were kept hidden throughout. Over 100 witnesses testified, leading to Edmond being convicted of multiple federal violations and sentenced to four mandatory life without parole sentences. His mother was also sentenced to 24 years in prison for her role in his drug ring. Edmond continued his drug and money laundering operations from the confines of the federal prison at Lewisburg, Pennsylvania. According to U.S. Attorney Eric Holder who now led the investigation of Edmond, police wiretaps revealed that he was selling 400 kilograms of cocaine per month while incarcerated. Edmond was convicted again on August 8, 1996. Edmond struck a deal with federal prosecutors. He became a government informant in exchange for the early release of his mother. After this, he was placed in the federal witness protection program. Biography.com website, “Rayful Edmond III”, A&E Television Networks, April 2, 2014 https://www.biography.com/people/rayful-edmond-iii-547286; Nancy Lewis, “Drug Gang a Family Affair”, The Washington Post, April 18, 1989, https://www.washingtonpost.com/archive/politics/1989/04/18/drug-gang-a-family-affair/3e82667b-43a4-481f-847b-195cab32837e/?utm_term=.daf51c693ebf; Annys Shin, “Running Low on Rayful”, Washington City Paper, September 8, 2000 https://www.washingtoncitypaper.com/news/article/13020716/running-low-on-rayful; “Drug Empire Continues Behind Bars: The Rayful Edmond Story,” https://www.gorillaconvict.com/2012/10/drug-empire-continues-behind-bars-the-rayful-edmond-story/. 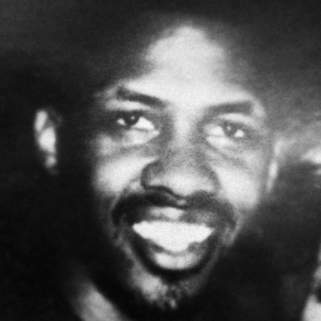 https://www.biography.com/people/rayful-edmond-iii-547286; Nancy Lewis, “Drug Gang a Family Affair”, The Washington Post, April 18, 1989, https://www.washingtonpost.com/archive/politics/1989/04/18/drug-gang-a-family-affair/3e82667b-43a4-481f-847b-195cab32837e/?utm_term=.daf51c693ebf; Annys Shin, “Running Low on Rayful”, Washington City Paper, September 8, 2000 https://www.washingtoncitypaper.com/news/article/13020716/running-low-on-rayful; “Drug Empire Continues Behind Bars: The Rayful Edmond Story,” https://www.gorillaconvict.com/2012/10/drug-empire-continues-behind-bars-the-rayful-edmond-story/.